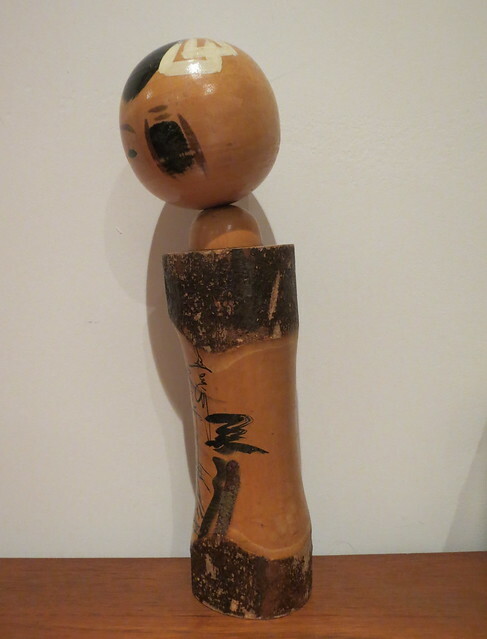 My friend rescued this kokeshi for me from the internet as an early birthday present. She’s absolutely gorgeous, but I don’t know anything about her origin. She has a slight wonkiness about her, which I like. The head was separate and just slots on with a wooden dowel – it’s quite wobbly. On the front is some writing which appears to be a haiku. Can anyone read it? 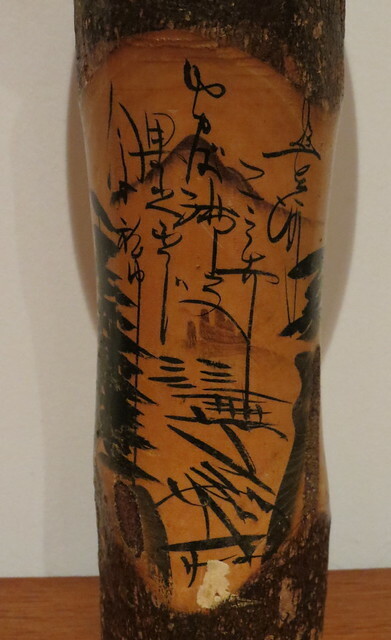 There’s no obvious signature, and nothing at all on the base. It could be a haiku, and I see some words that could be someone’s name as well, but the writing’s too cursive for me to read. I showed a Japanese co-worker as well, and even she said she wasn’t able to read it. Very strange looking Japanese for sure. 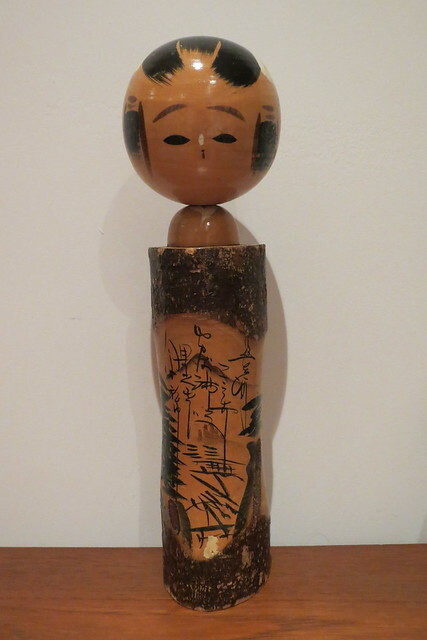 I love kokeshi dolls. A friend of mine had them all piled in a big bowl- it was actually a really pretty way of displaying them. « Winner of Tokyo: Capital of Cool by Rob Goss announced!